Is way more involved than I ever expected! But, luckily, I have an amazing fiancé - who actually has an opinion and cares! - and wonderful friends that I can turn to for help. So...what do we have planned so far? Lots!! I will not post a picture of my dress, but it's perfect. My mom, Claire and I found it at this cute little bridal shop called The Green Bride. One hour. That's all it took! I found the best shoes ever! Blue!! 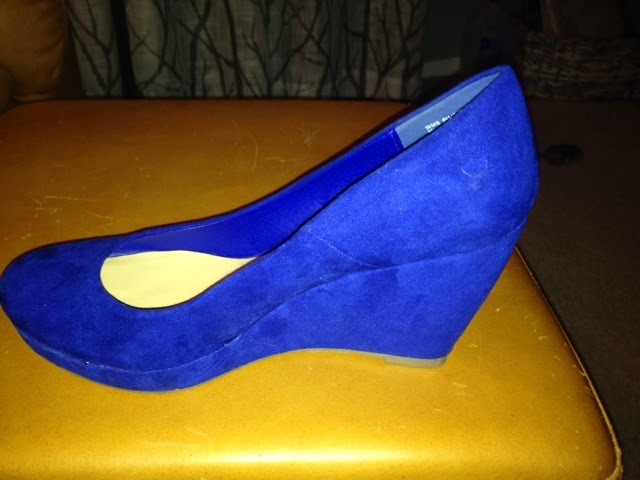 Wedges!! 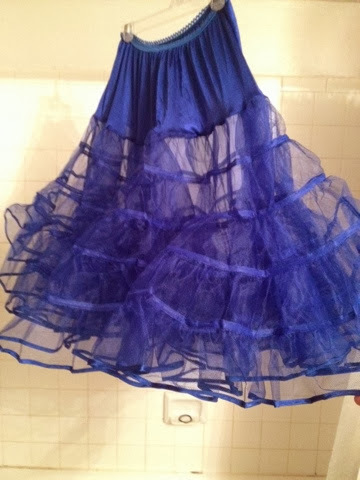 And then...found a petticoat the matches nearly perfectly. Why the petticoat you ask? Because I am having my dress shortened. Like to my knees-short. And I am excited. Yep, that's right! We found a venue and picked a date. That was in every large thing to check off the list. When? October 16. 8 months away! Where? Jagged Mountain Craft Brewery. Yes, a brewery! This was actually Jay's brainchild, but I think it's perfect!! Jay has friends that have been in a band together since high school. Very rock meets heavy metal. They are great! And they have agreed to play at our wedding!! Since I work for a Judge, Jay and I have asked him to officiate our wedding! He is excited and so are we. The ceremony will be at the courthouse with just family. Next on the to-do list is food, cupcakes and invitations!